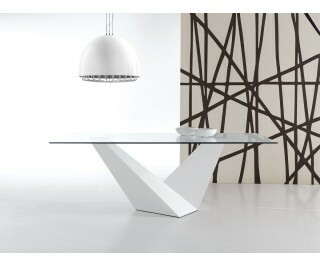 A table featuring and decisive geometric shapes. The rectangular surface is arranged on a base composed of two triangular elements that meet. Available in stained or white glossy varnished walnut.